Provide comfort for the family of John Lukasik with a meaningful gesture of sympathy. 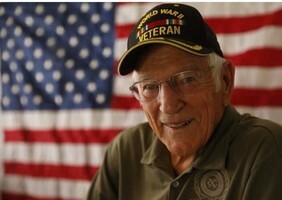 Lukasik, John F. “The Flagman” 96 of North Tonawanda on April 3, 2019 at the Veterans Hospital of Buffalo. 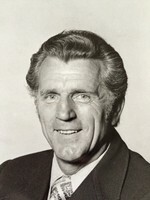 Husband of the late Shirley R. (nee Connaroe) Lukasik. Loving father of Susan A. (Steven) Downing, Wendy J. (David) Lusk, Michael J. Lukasik and the late Imogene A. Pasel and Mary J. Shanahan. Proud grandfather of Deanna, Tracy, James, Jennifer, Amy, Christopher, Kelly and Kimberly. Also survived by 14 great grandchildren and many nieces and nephews. Predeceased by Frances Soos- Gawrys, Jean Jehrio and Henry Lukasik. Dear friend of Barbara Barrett. Friends received by the family on Sunday April 7, 2-7 p.m. at the Brunner Funeral Home, 156 Robinson St., North Tonawanda. A Mass of Christian Burial will be held on Monday morning at 9:30 from Our Lady of Czestochowa Parish, Center St. at Oliver in North Tonawanda. Interment will follow at Acacia Park Cemetery. 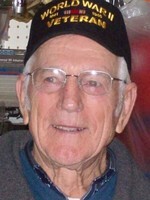 John was a WWII Army Veteran serving in the Pacific Theater. He was known as the #1 Flagman for his patriotism and love of country. He was Past Commander of Sikora Post American Legion and Past Niagara County Commander of the American Legion. John was the Founder of the Erie-Niagara Sunrise Exchange Club and was a member and volunteer in countless organizations. He shared his love of reading with his children, grandchildren and great-grandchildren. Synergy Nutrition & Wellness , The Prezioso Family, and others have sent flowers to the family of John F. "The #1 FLagman" Lukasik.